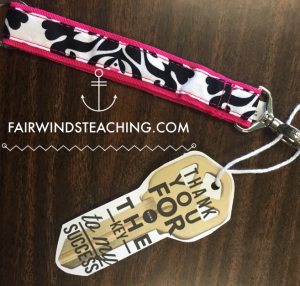 Need to get your students something for the end of the school year? Grab a piece of sidewalk chalk and a small bouncy ball and throw them in a snack sized ziploc baggie. Then print these tags off and staple them on. BINGO! 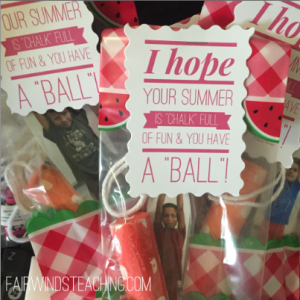 You have a cute and easy gift for each of your students. 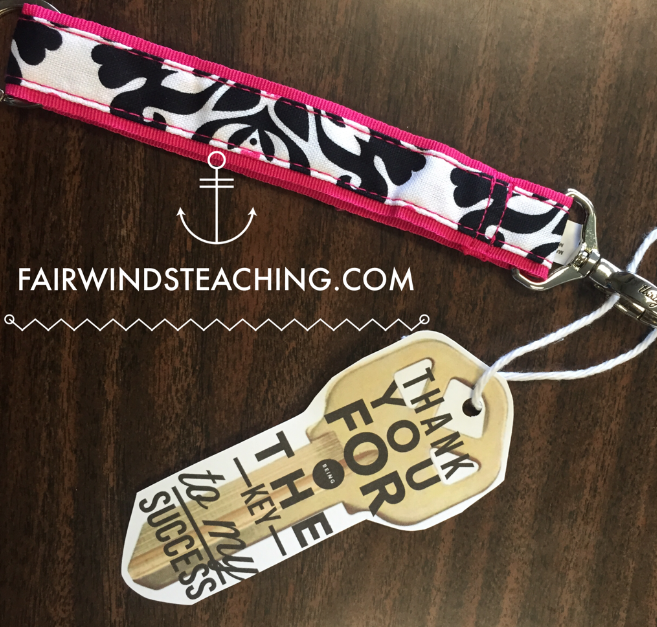 Also have some awesome parents in your classroom who volunteered all year long? Need a quick gift for them. Buy them a keychain and tie on some string to this print out. It’s simple and cute and send a great message.